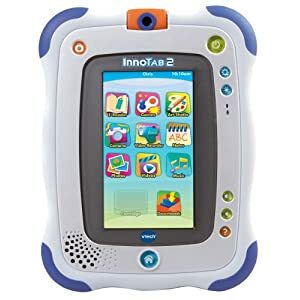 Review: InnoTab 2 by Vtech – Simply explained! The InnoTab 2 is a lovely piece of kit and we couldn’t be more delighted that we were sent one to review. The InnoTab 2 comes in both blue and pink and retails on Amazon for £89.99. It is basically a touch-screen tablet for children 4+. Over the last few weeks I would say my 5 year old has really fallen in love with it. It has this great swivel camera so kids can take photos of both themselves and other people..such fun! They can also video record with the InnoTab 2 and there is a good microphone internally built in, This is great if they want to make little films! They can have hours of fun with learning games and apps on their InnoTab. They can control how they play and develop their skills of using touch apps including tap, flick, and drag-and-drop, Using the motion sensor kids can control their games, tilting, and moving the tablet in different directions. This really makes them giddy with excitement for some reason! The InnoTab also enables kids to access animated e-books that offer story narration, character voices, animation, vivid graphics, sounds and music. Kids can learn reading comprehension, vocabulary, phonics, word building, and interact with theanimated characters. As they read, they can watch the words be highlighted and can touch individual words to hear them pronounced. 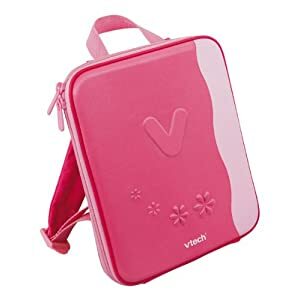 To get more apps you simply go to VTech’s download library on Learning Lodge Navigator It has hundreds of games, apps, e-books, music, videos and more to purchase and download, There are loads to choose from and they mean this toy never grows old. You can also purchase a memory card for additional storage and headphones, tablet cover and bag etc. I like toys with endless play potential and this is certainly one of them. I also love that it grows with your child and teaches them as they play. Children need IT skills and this interactive fun toy is a good way to teach them. It is also FABULOUS for long car journeys! 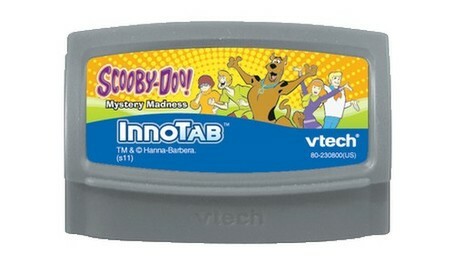 Annnalise is a massive Scooby fan and look at what you get from the one cartridge! I would also like her to have the carry case to protect it (£17) and the power adapter (£7) as it races through batteries and these are both sold seperately. Overall I would say this is an excllent tablet for little kids, robust, sturdy with lots and lots of play possibilities. I don’t know if you see but when everyone was doing their toyologist applications I done ours on Spud’s Vtech Kiddi Zoom camera, its still over on my blog, I cant wait to see his excitement when he discovers he can take photo’s of himself too! Well done on your win Jade! Congrats Jane, I wish I could win one of these! I’ve been asked to chip in for one with my best friends for their daughter (my goddaughter) this Christmas. Just looking around for reviews to see which is best out of the Innotab2 and the Leappad2. Do you know which ones has the better games? More importantly, the cheaper games?